For years, I avoided red sauce with my Mexican foods. I was certain I just didn’t like it. 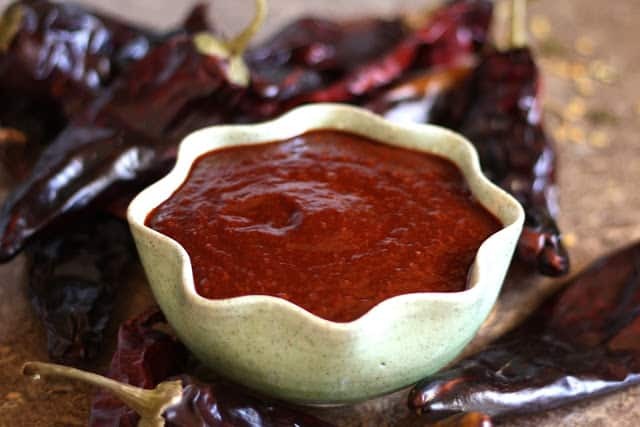 In a pinch, I would use a store-bought red sauce, but I typically stuck with my favorite green chile in place of red. While visiting my sister in New Mexico, she gave me red sauce from her freezer to use in the enchiladas that we were making. That was when I discovered the difference between a homemade sauce and a canned version. 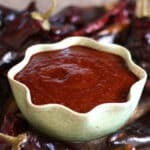 This sauce is incredibly flavorful with as much heat as you desire; just purchase mild, medium or hot dried chile pods. As soon as we unpacked and settled back home, I called her for the recipe. Making red chile sauce was much simpler than I expected. I’ll definitely double this recipe next time I make it. I love being able to freeze it and keep it on hand for future meals as well. Over a large mixing bowl, break the stems off the pods and shake out the seeds. Break the pods into smaller pieces and drop the pieces into a waiting strainer. Once all the pods are broken, rinse with water and then place in a large pot. Add the water, the onion, garlic, oregano and salt. Bring to a boil and then reduce to a simmer. Simmer for 10-20 minutes, until the pods are softened. Remove from the heat and let sit, covered, for an additional 10 minutes. 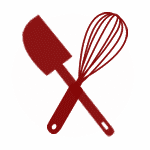 Puree using an immersion blender, a food processor or a blender. If you are using a blender, puree in batches, until the consistency is smooth. Transfer to a waiting bowl and puree the next batch. For a smoother texture, blend the sauce again after it sits for half an hour or so. As an alternative, you can press the sauce through a sieve for the smoothest texture possible. If I am using the sauce immediately, for enchiladas or burritos, I don't bother with the sieve. If I am freezing it for use as a topping or for an undecided future use, the sieve is my preferred option. It takes a little longer, but it is worth the effort. Divide into 1-2 cup portions and freeze what you won't be using in the next few days. Enjoy! 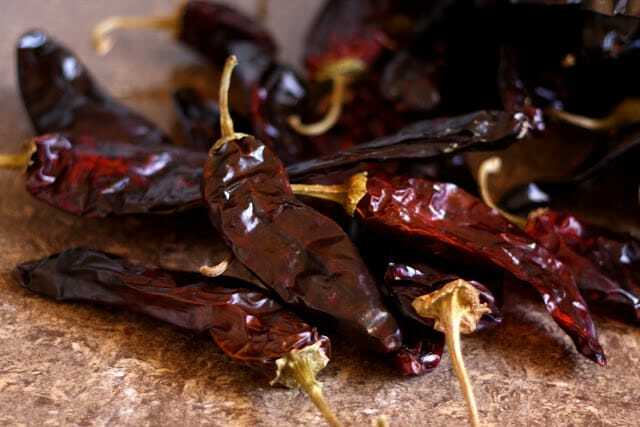 We always wash then light roast the red Chile pods for just a bit in the oven at 250 (just until you get a subtle aroma). Then the recipe here... adds a little extra flavor.